I have found your website: https://www.hotelonthego.net/ and have a rough idea on what you require. We can build the backend administration panel so that your clients can login and manage their prices and offerings on your portal. Hi, I have been working in IT industries for last 10 years in Australia. I am highly experienced web developer, software programmer, API Developer, API Integration. I can assure you for a quality service. I represent Coruscate Solutions Australia. We are a full service technology company with dedicated designers and developers working on the exact platforms you have mentioned. Our skills include Node.JS, AngularJS, Laravel, PHP, MySQL, SailJS, iOS, and Android. In other words, we develop across the span - desktop software, web-based applications, and mobile applications. With more than 250 projects and 75+ clients across geographies, we have the skills and experience to deliver any project. Coruscate Solutions Australia has extensive experience working with Travel and Hospitality industry clients. We have worked with another very well known Online and Cloud based booking provider company on similar projects. We have also work on hospitality projects for a major European travel organization, a hotels' group in the Middle East, and an online travel company in the Mediterranean. The concept you have presented is quite clear. However, the exact project requirements are not. So for now, I have placed a quote to express our interest in the project. We can present an accurate quote once we have discussed the project in proper detail and have worked out the complete scope. I would be happy to share details of our experience and samples of projects delivered. 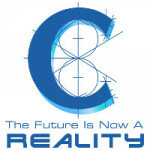 For additional information, you can also visit www.coruscatesolutions.com.au to get an idea about our work and skills. I look forward to hearing from you soon and initiating discussions on the project. Hi I am a web developer with 3 years experience in web development. I can help you out with this project. This bid includes 5 days of testing using browserstack. had a quick look at what you have mentioned, would be good if you could provide some detail on the project. we have done a similar project for our clients in Bali and hawaii. You can check out the project at http://exclusivebalivillas.com and http://exclusivehawaiivillas.com. 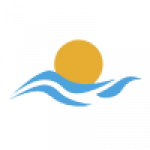 both the web application allows the hotel manager to manage their properties, their rates based on high low and mid season. We have integrated PayPal as the payment gateway for them. Should the need be we can integrate any bank API of your choice. Can do it withing 2 months on 100% scalable cloud environment with a mobile framework. Let me know. Hi can you provide a specific design brief outlining the core requirements and functionality required please. Hi Faiza, we need more specific information about your project. Will it be for internal use only or will have an associated front end website? We have done similar projects in the past but it is hard to quote unless we have some more specifics about what core functions and features you want.